Thank you to Barnana for providing me with complimentary samples of their banana bites! This post contains affiliate links. I am a snacker. A nosher. I eat like a bird. This isn’t necessarily a bad thing. It suits my appetite and my lifestyle. But the problem lies with my choice of snacks. 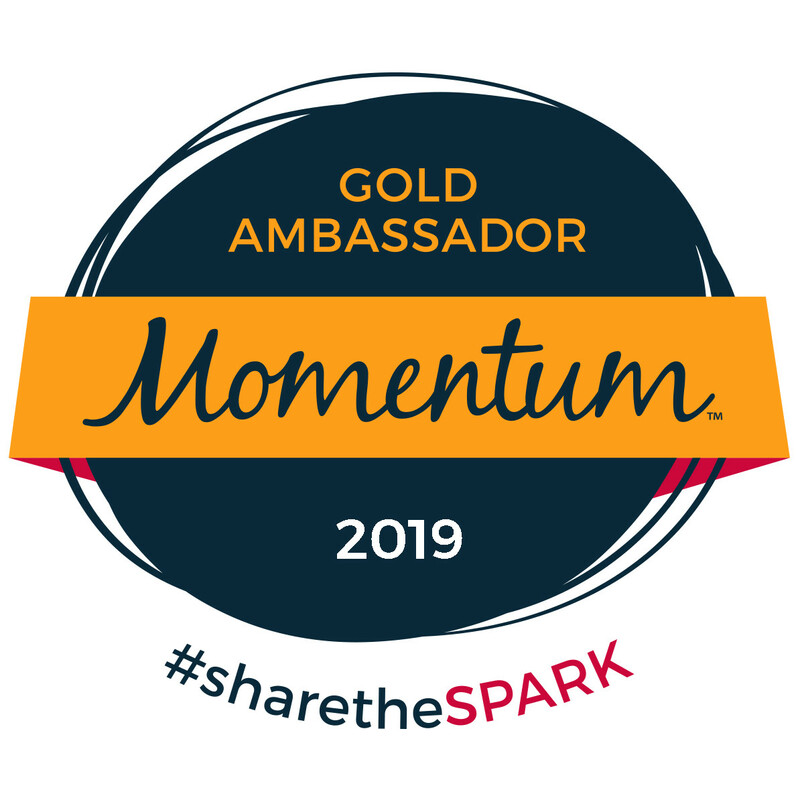 Let’s just say that I don’t always make the best food choices – and for someone who’s training for a marathon, that’s a big no-no. 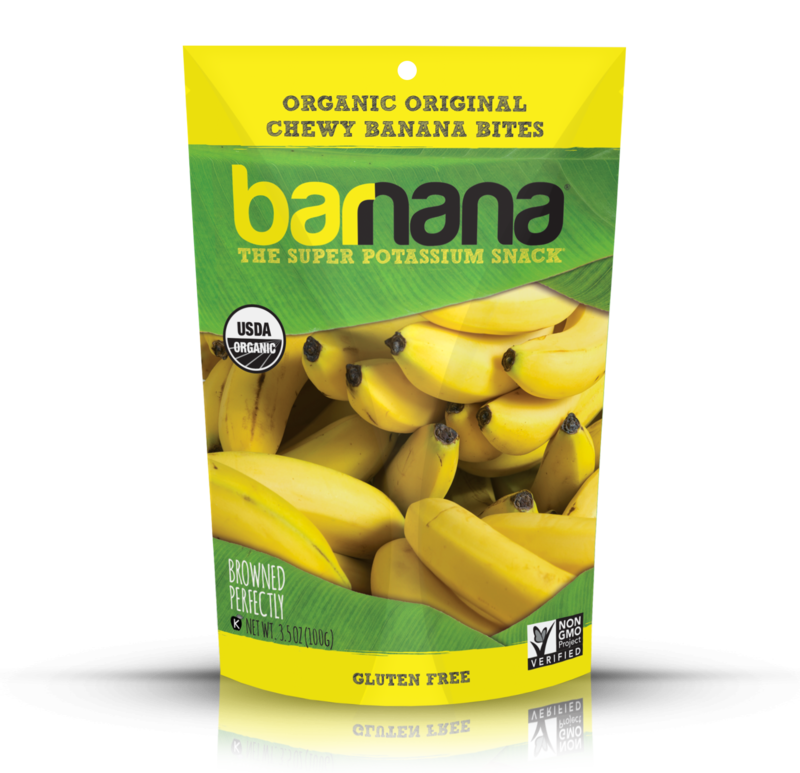 That’s why Barnana Chewy Banana Bites caught my eye when I happened upon them on Twitter. I like bananas. I like chewy bite-sized snacks. And I especially like just about anything that comes covered in chocolate. So I thought I’d give them a try. Original Chewy Banana Bites are organic, gluten free, non-GMO, vegan, raw, and kosher. They are made from nothing but partially dehydrated organic bananas. 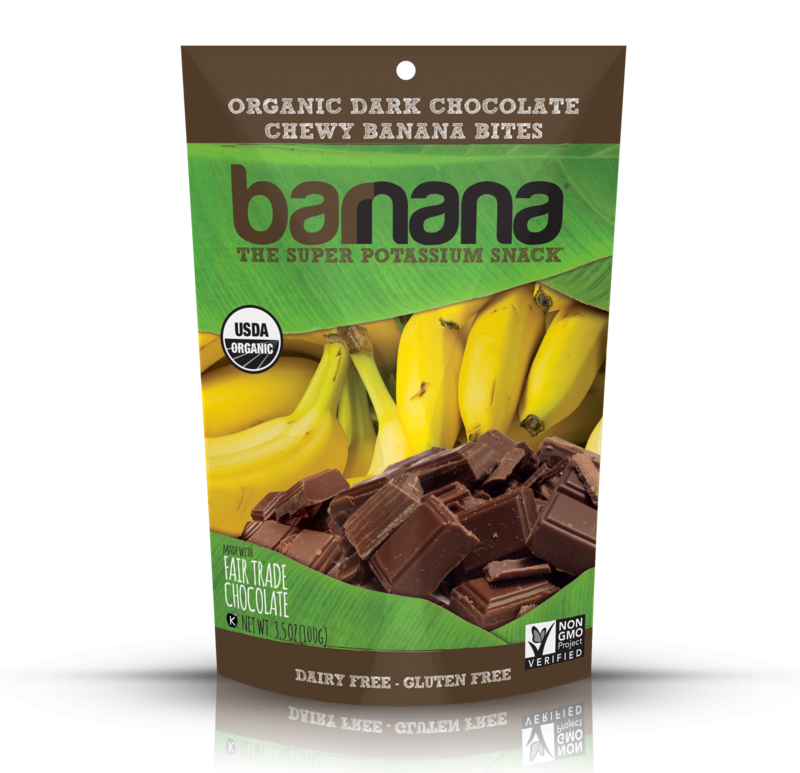 According to Barnana.com, they are a good source of potassium and fiber, have over 20 vitamins & minerals and triple antioxidant power, and are made from nature. Chewy Chocolate Banana Bites are organic, gluten free, non-GMO, kosher, vegetarian, and made with raw bananas. These partially dehydrated organic bananas are covered in 54% organic cocoa. 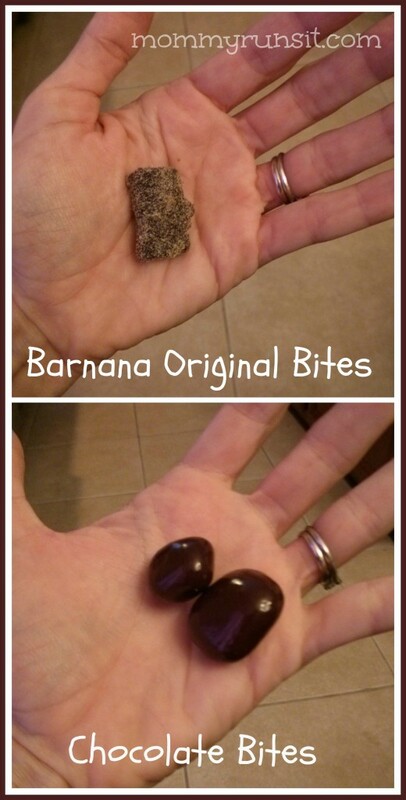 According to Barnana.com, the chocolate bites have similar health benefits to the original bites, with the added benefit of flavinoids in the dark chocolate. Given my description of my eating habits, it won’t take much of a leap to guess that I’m also a picky eater. So in the case of food reviews, it only seems fair to test a product out with multiple subjects. Barnana sent me one package of each variety – Original and Chocolate. I tried out both kinds, as did my friend Kristie, who is also a marathon runner. She preferred the Original – so much so, in fact, that after we finished snacking on them, I gave her the remainder of the package to bring home. I continued snacking on the Chocolate bites throughout the day, and when my kids got home from school, I gathered them, along with a few neighbors, for some more sampling. Altogether, our group was another mom (about my age) and our 5 kids – 3 girls, 2 boys, ranging in age from 3 – 9. I wasn’t sure what they’d think, especially my daughters who are every bit as picky as their mom. But the Chocolate bites got rave reviews across the board! All 5 kids came back for seconds and were disappointed when they bites were all gone. 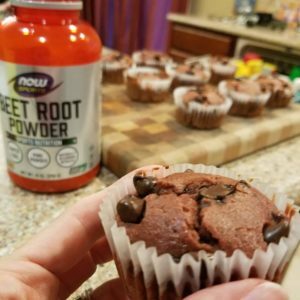 My friend really liked the taste of them and loved the idea of a healthy but yummy snack that her kids could get into. My opinion? The Original bites were good. I liked the texture, and I think the Barnana.com describes them accurately as tasting “like fresh banana bread.” I would have liked them better if they were a touch sweeter, but let’s face it – I have a sweet tooth. Which is probably why I preferred the Chocolate bites. The chocolate coating was thick (but not too thick) and gave the banana bites the perfect touch of sweetness. Clearly, the kids agreed. Barnana Chewy Banana Bites would make a fantastic stocking stuffer for the runner in your life – or for anyone who needs a healthy, sweet snack on the go! They’re not yet available everywhere, but you can order them online. The Original bites retail for $3.99 a package, and the Chocolate bites retail for $4.99 per package. But one lucky reader will get to try them out for free! Barnana is giving one of my readers a 3-pack of Barnana Bites – you choose which flavor. All you have to do is enter on the Rafflecopter below. Good luck, and happy snacking! 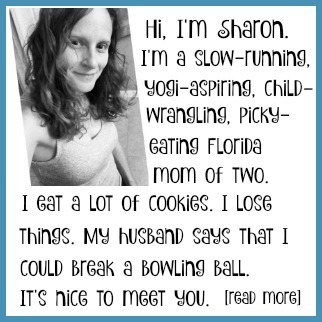 GoneForaRUN.com Has the Best Gifts for Runners! Thank you for the picture. I picked up a package at a local drug store and thought they would be a good idea for those days I can’t take a real lunch break. When I opened them up and saw black shriveled chunks, I thought for certain something had been mishandled and threw them out. Now I know there are supposed to look that way, I might give it a second try. Perhaps the chocolate coated ones would be better eye appeal. I haven’t tried these before so I’d have to start with the original. I would like to go with the chocolate ones. I would try the Chocolate BAnana ones! Yum! Barnanas are my favorite snack to fuel my body for running and workouts! Would love the chocolate bites …. The chocolate ones look delicious! I’d try chocolate if I won! I would probably take the chocolate ones. I’d like to try the original flavor! I would have to choose the chocolate ones! I know my kids would just gooble these up!